Prefab solar Sun room,sun house,garden metal aluminum alloy glass house,excellent aluminium framework,super durable! 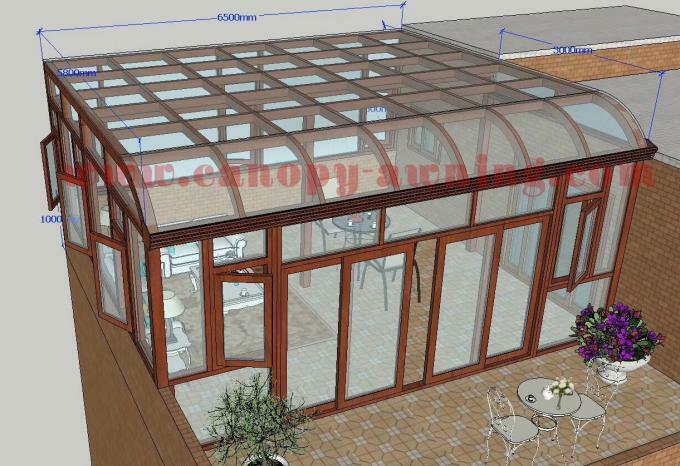 excellent Prefab tempered glass house,solar sunroom,sunrooms,sunhouse,aluminum room,aluminium house-long life for usage! 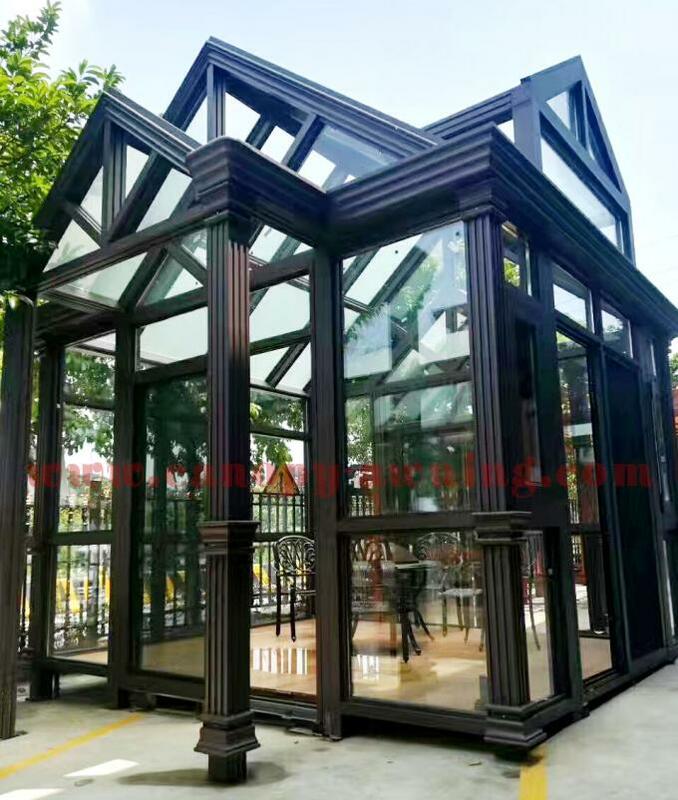 Large Image : Prefab solar Sun room,sun house,garden metal aluminum alloy glass house,excellent aluminium framework,super durable! Roof shape Cutomized shape.Arc,flat,polygon,slant,triangle,gable can be offered. 1.Single temper, single laminated glass,double hollow, double laminated, low-e, frosed glass etc. can be offered. 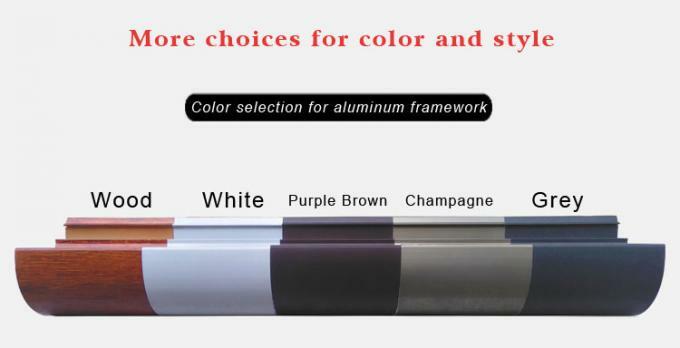 Hollow glass with inner strip,hollow glass with inner blinds,coated glass,can be offered. Green coating,24K golden coating, tea-color coating,blue coating,grey coating etc. can be offered. Can be added electric curtain or electric skylight. Application Attached to a residential,commercial,house,patio,garden,villa,outdoor etc ect. The ground rails are made from tabular aluminum sections, so there are no sharp exposed edges. Ground rails can be attached to even surfaces, horizontally or vertically on the walls of buildings. The number of tracks on the ground rails corresponds to the number of segments making up the swimming pool enclosure. We use stainless steel and aluminum hardware and fasteners throughout the entire enclosure. 5 To seal the upper space between the adjacent segments we use EPDM material. 6 Anti-dust flap installed on the bottom edge of the gable ends to prevent dust and leaves coming into the building from this part. 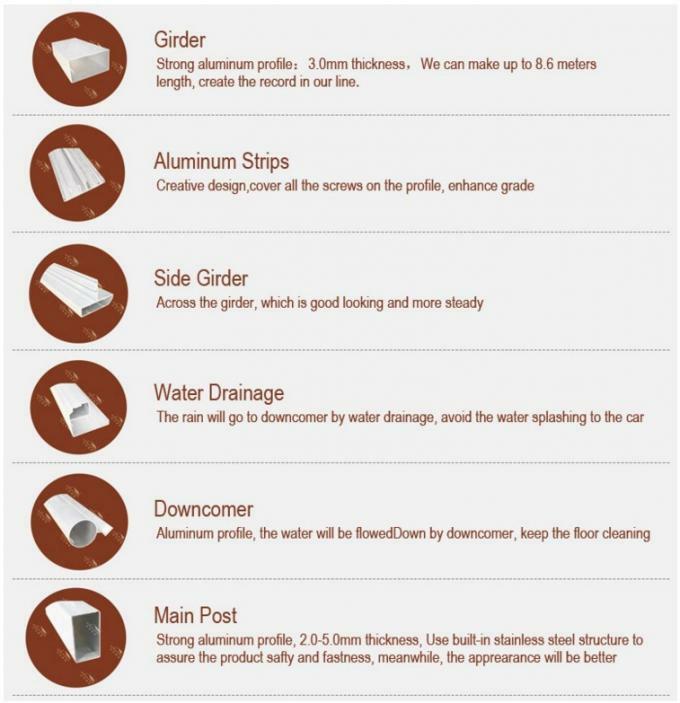 East Standard Prefab House will have at least 10 years life expectancy under normal use and climate conditions. 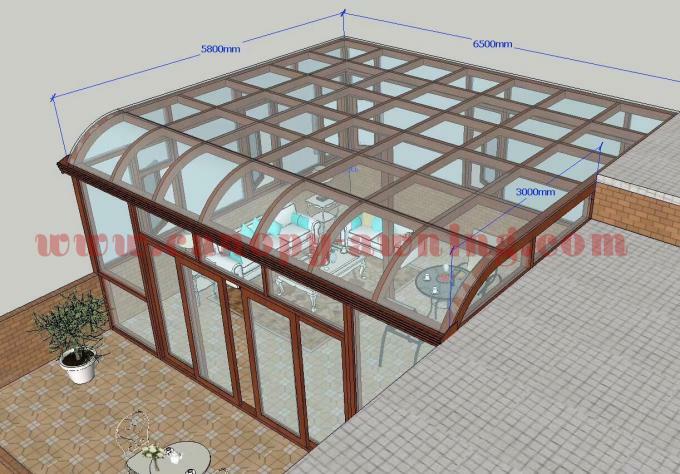 For transportation reason, the glass house get to our customer in pieces, it needs to be assembled by customer.if it is small in size, we recommend you can install by yourself. If It is huge in size, you may need an engineer to help. We provide customized installing instruction for each of our product. Every product will be inspect by our QC before it goes out of the factory. 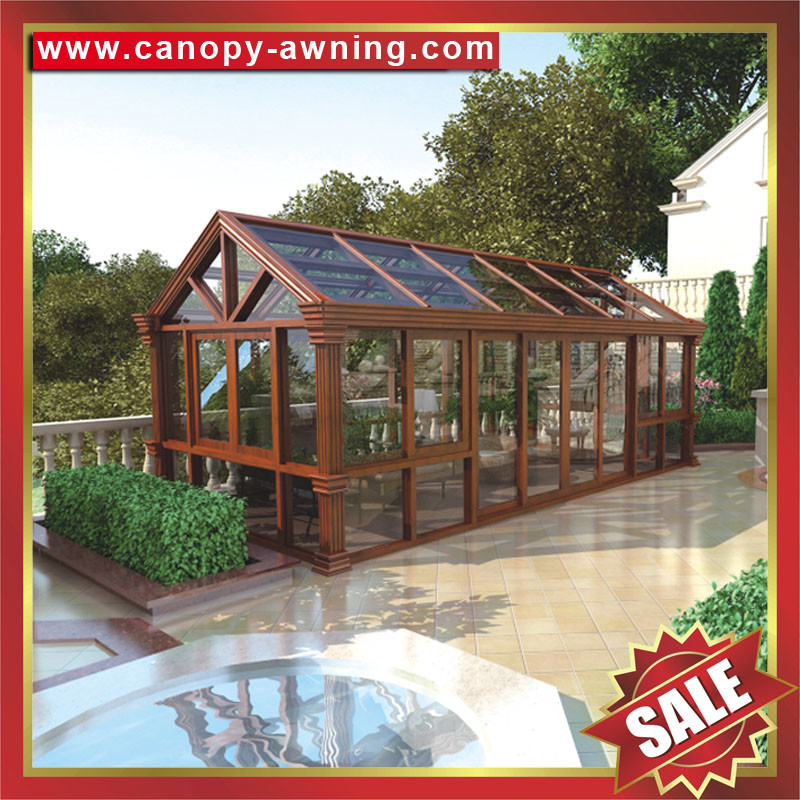 prefab solar Sunroom,garden tempered glass metal aluminium alloy alu sun room house for villa-super durable!